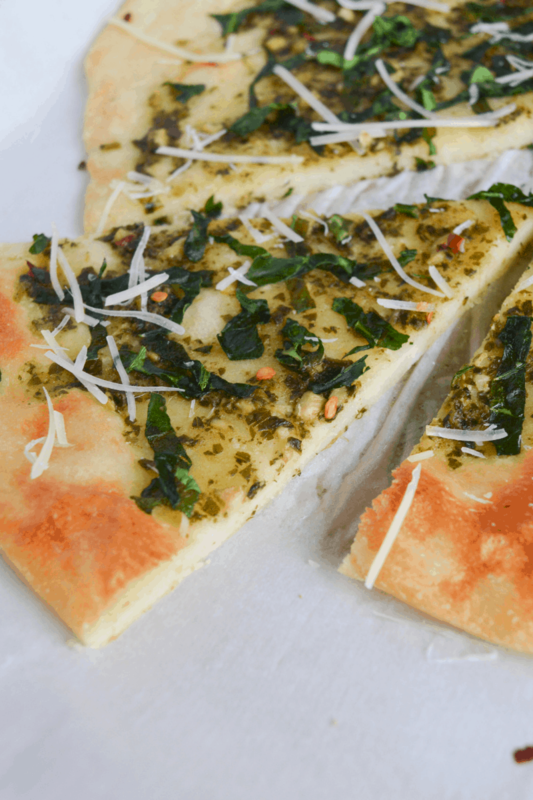 This Keto Spinach Pesto Flatbread is an amazingly flavorful appetizer, or quick and easy lunch. 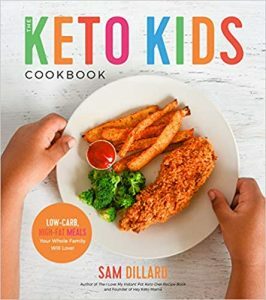 It’s the perfect low carb replacement for your restaurant favorite! This flatbread recipe actually originated after a very happy accident, when Joe was making a fathead pizza and forgot to add an egg or any baking soda. It didn’t rise at all, but that didn’t stop it from being absolutely delicious! We first published this variation on fathead dough for our spiced beef with tzatziki sauce. That’s another great recipe, just with a different flavor profile. 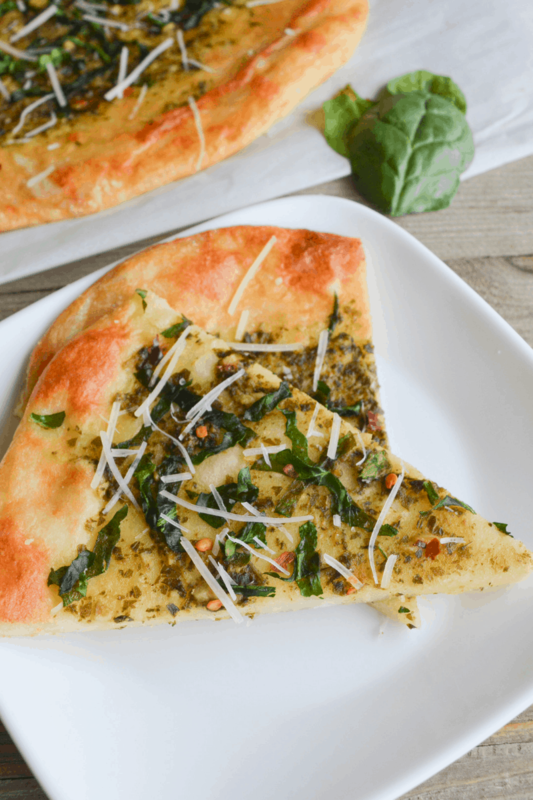 On a recent trip to the grocery store, we decided it was time to develop another flatbread recipe–one that had amazing flavors and would remind you of something you might find in a restaurant. The result tastes as amazing as it smells! What ingredients do you need to make this recipe? It’s important to remember that cheese does have carbs. That’s one reason we didn’t top this flatbread with even more cheese. But it works out really well considering the flatbread IS cheese. Feel free to adjust to fit your macros, though! And here’s a breakdown of nutrition based on the specific ingredients I used. 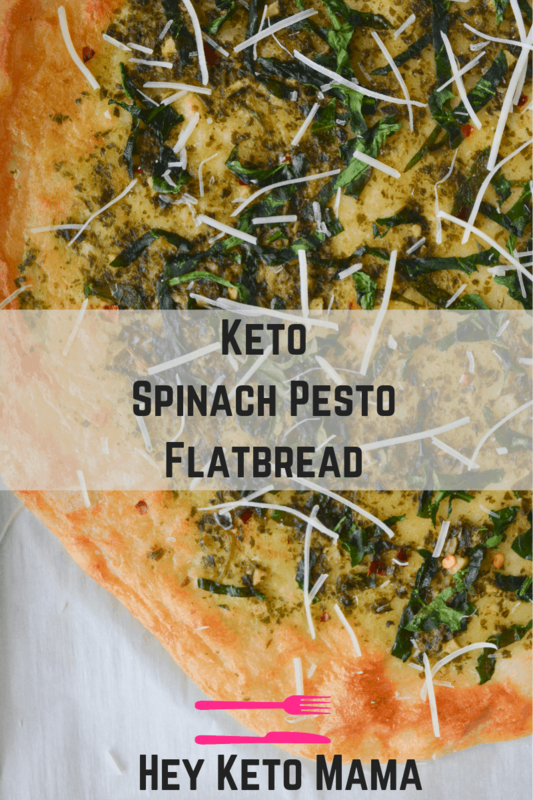 This Keto Spinach Pesto Flatbread is an amazingly flavorful appetizer, or quick and easy lunch. 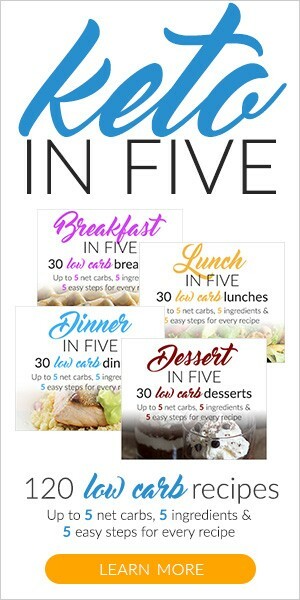 It's the perfect low carb replacement for your restaurant favorite! Preheat oven to 350 degrees Fahrenheit. Line large baking sheet with parchment paper and set aside. 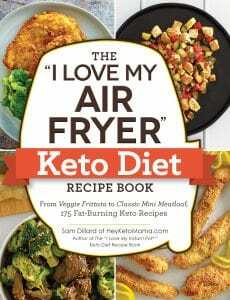 In a large bowl, mix almond flour, shredded mozzarella and cream cheese. Microwave for one minute or until melted and able to be easily mixed. Use hands to flatten dough thinly across parchment lined baking sheet. 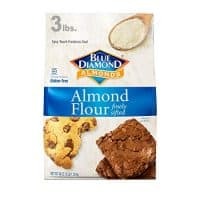 Bake dough for 6 minutes or until slightly browned. 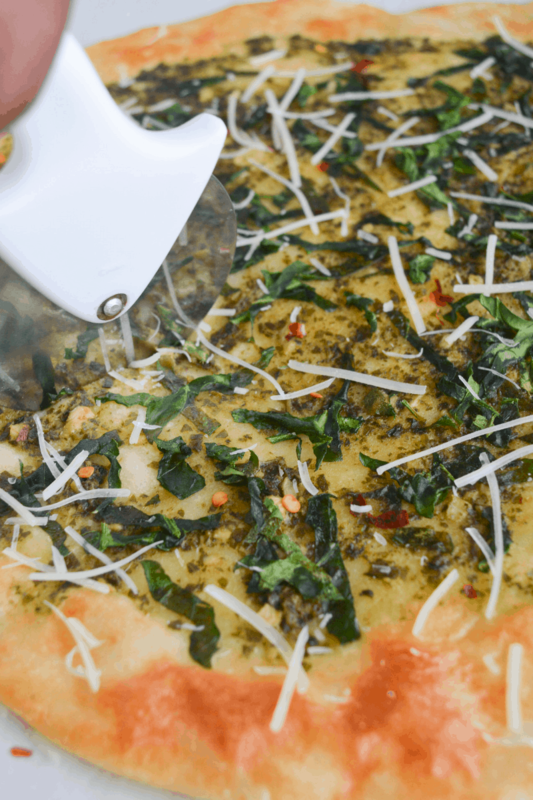 Take dough out of the oven and evenly spread it with besto and spinach. Sprinkle red pepper flakes for a little kick! Return dough to oven and bake for an additional 16 minutes or until edges of dough are golden brown. Remove from oven and sprinkle with shredded Parmesan for serving. ﻿Please note that I am not a certified nutritionist. Any nutritional information that is discussed or disclosed in this post should only be seen as my best amateur estimates based on NET carbs. If nutrition is important to you, I highly encourage you to verify any data you see here with your favorite nutrition calculator.